Using a mouse or other pointing device. In XY plane and in Z.
Calibration data attached to each image. 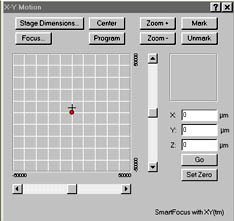 For more information on SmartFocus, click here.